A layer in the Earth's atmosphere at 13 to 20km altitude with an unusually high concentration of ozone gas. 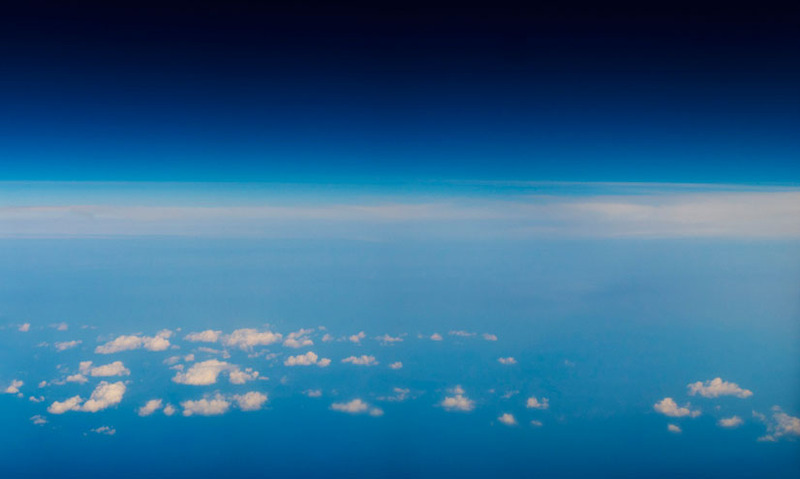 A layer in the Earth's atmosphere at 15 to 50km altitude with an unusually high concentration of ozone gas. It absorbs 97 to 99% of the harmful ultraviolet radiation in sunlight. Ozone is formed in the upper atmosphere, when ultraviolet light splits oxygen molecules to form free oxygen atoms. These then react with the oxygen molecules to form O3 ozone molecules. It absorbs 97 to 99% of the harmful ultraviolet radiation in sunlight. Ozone is formed in the upper atmosphere, when ultraviolet light splits oxygen molecules to form free oxygen atoms. These then react with the oxygen molecules to form O3 ozone molecules.